This was such a touching commission! 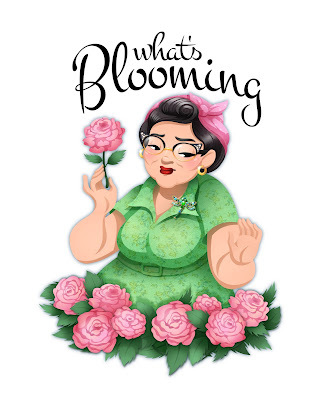 This logo is for a returning client, Jennifer, for her new Flower Shop - "What's Blooming". She wanted to honor her grandmother who passed last year at the age of 95. She loved flowers, and had that timeless retro-class about her, that I love! While working on this commission, I got news from Poland that my own adopted grandmother, Ciocia Kasia, passed away. I had so hoped to see her on my next visit to Poland, but it was not to be. I poured extra love into this piece, and thought of both amazing ladies as I worked. 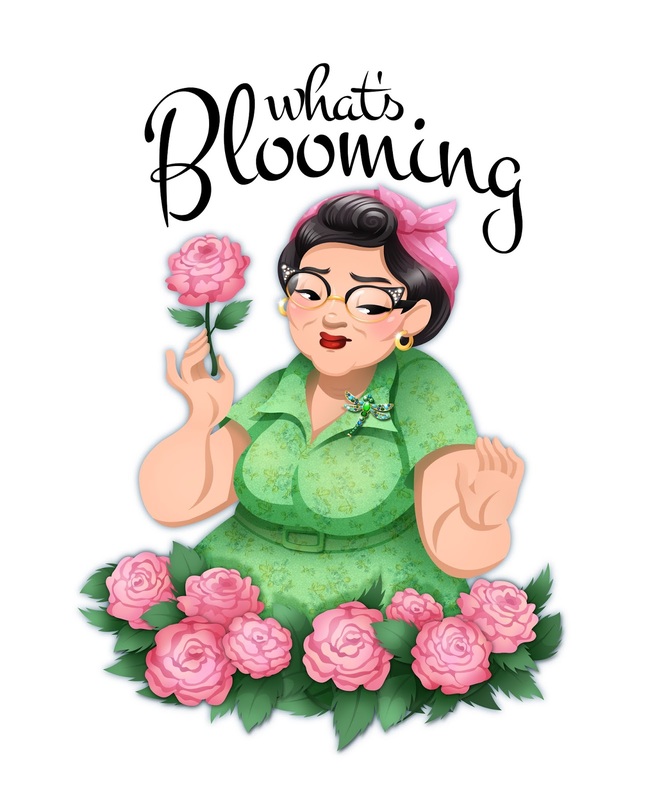 What's Blooming! Dedicated to grandmothers everywhere! Maybe this business flourish! Kulenku, śliczne logo - może ja kiedys będę taką babcią? A o Kasieńce myślę ciągle.